Amadeus is structured around two areas: its global distribution system and its IT Solutions business area. 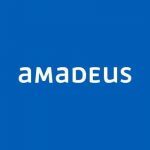 Acting as an international network, Amadeus provides search, pricing, booking, ticketing and other processing services in real-time to travel providers and travel agencies through its Amadeus CRS distribution business area. Through its IT Solutions business area, it also offers travel companies software systems which automate processes such as reservations, inventory management and departure control. Experience: 10 Months-2 Years Exp.